A great read for children, parents and teachers. 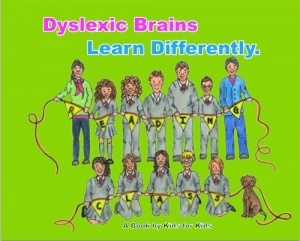 'Dyslexic Brains Learn Differently' is a book of hope for people with Dyslexia, for their parents and for their teachers. While each of the stories highlights the difficulties posed for people with dyslexic brains, they also highlight the strengths, achievements and happiness that can be fostered by parents and teachers in an understanding, supportive environment. Written by The Reading Class of Ennis National School (aged 10 - 13 years), this is a book by kids for kids. **A unique feature of this 40-page book is that the reader can scan a 'QR Code' on the cover to hear an audio-recording of the stories**.